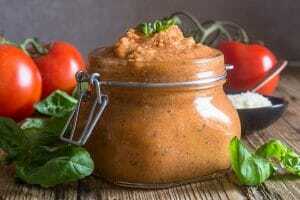 Delicious Homemade Fresh Tomato Sauce, just a few ingredients makes this fast and easy sauce is the perfect way to use up some Summer Tomatoes. For most people August is the season of vacations and getting the kids ready for going back to school, for me August is also tomato season. Well it was the season of tomatoes for the past 25 years. Unfortunately my mother-in-law is no longer capable so it’s everyone on their own. Even though I don’t make the bottles like we used to, I still like to make a tasty Fresh Tomato Sauce during the summer. 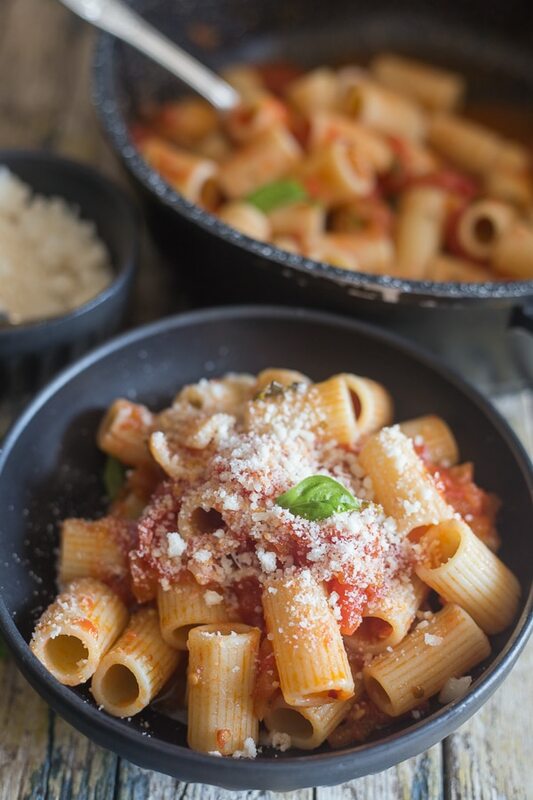 This is the time of the year we would focus mainly on picking and boiling tomatoes to make a delicious sauce that I then usually use for my pasta dishes. We would sit around a huge pot of boiling water filled with tomatoes. Cap them and then boil the bottles in a huge metal barrel over a wood burning fire. These will last over the winter until the next August. When I have too many ripe tomatoes I make a home made fast version of the way we used to make the sauce. 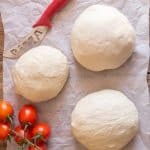 This way uses approximately 10 ripe tomatoes and is plenty enough to feed 3-4 people for lunch and dinner or whichever you prefer. I hold the tomato with a fork in one hand and with a knife in the other I remove the skin. 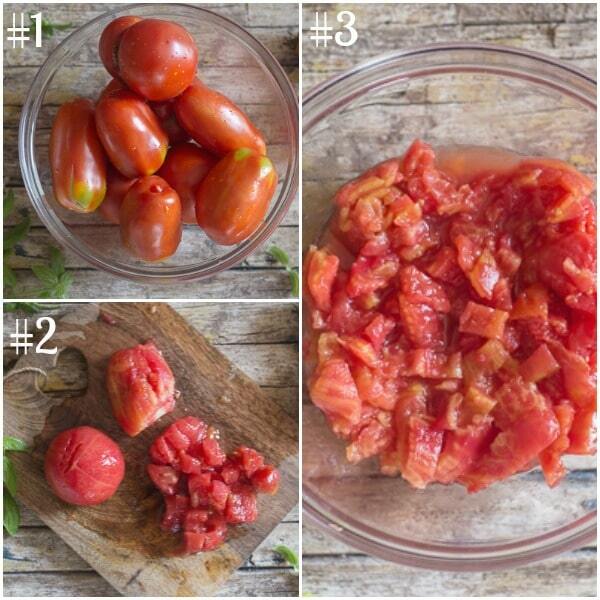 Cut the cleaned tomatoes into small pieces place in a medium to large pan with a some Olive Oil. Add your spices, squish the tomatoes with a fork and then simmer on low medium until thickened. 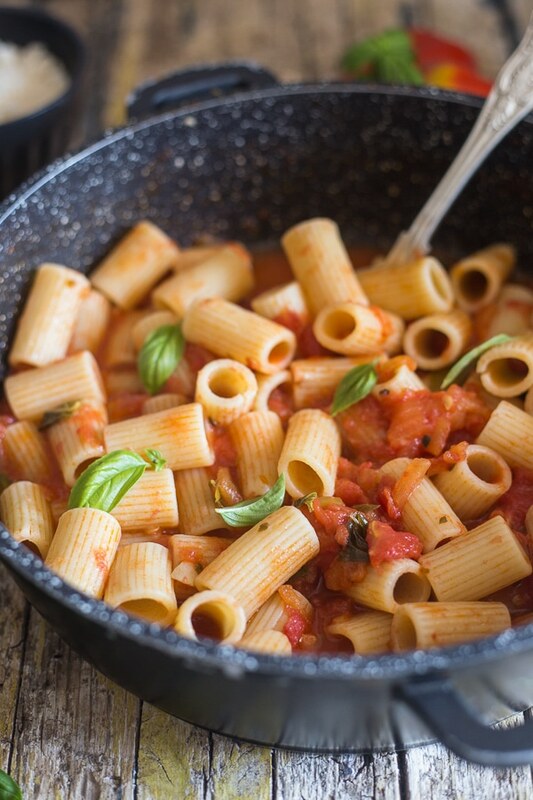 Toss with cooked al dente pasta and serve sprinkled with some freshly grated Parmesan Cheese. 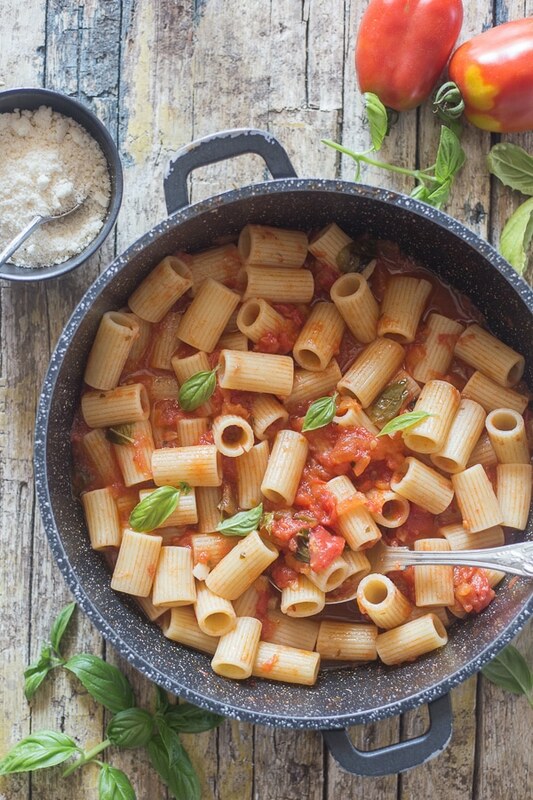 The good thing is that, when making this sauce you can use all the fresh spices available at this time of year too, fresh basil, oregano and garlic are all perfect choices. 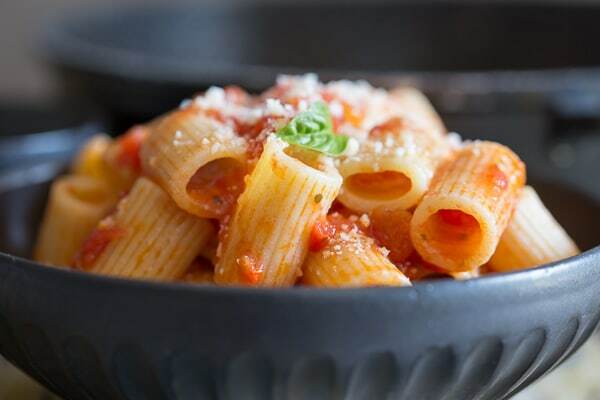 This fresh tomato sauce is so good, there’s no need to add meat or any other vegetable, all you need is your favourite pasta, preferably a short pasta like penne. 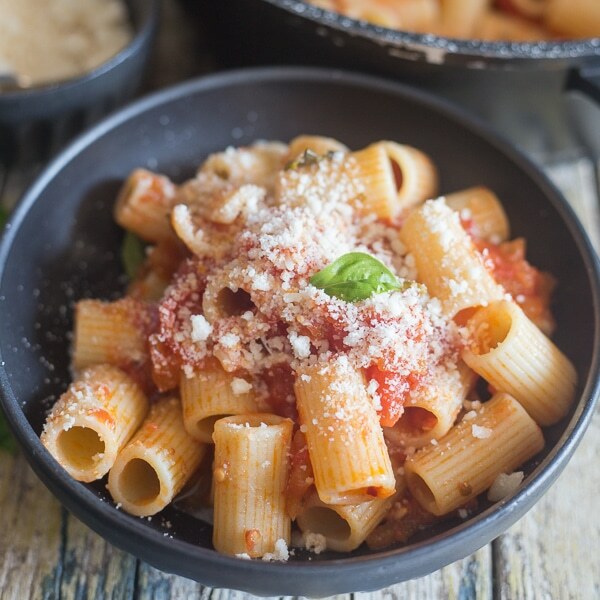 Sprinkle with some freshly grated parmesan cheese, and don’t forget a few slices of crusty Italian bread to soak up any extra sauce left on your plate. Dinner is served. Buon Appetito! 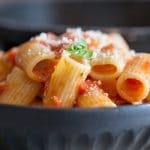 Fresh Tomato Sauce, a healthy lunch or dinner sauce recipe. 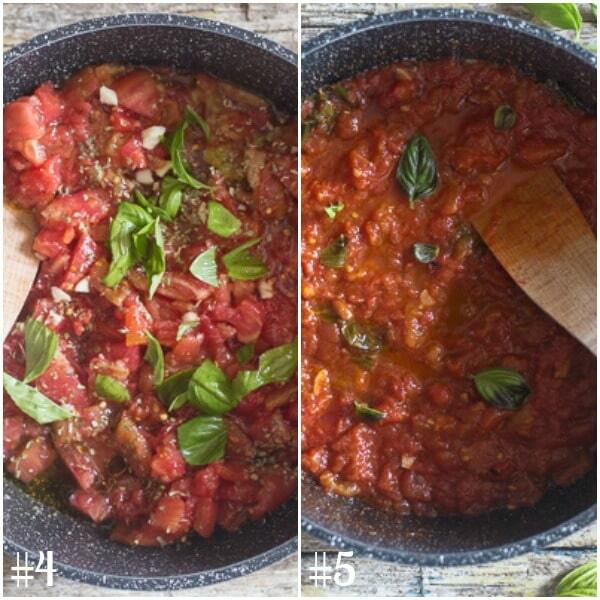 Made with fresh tomatoes and basil, the perfect easy homemade Italian sauce recipe. 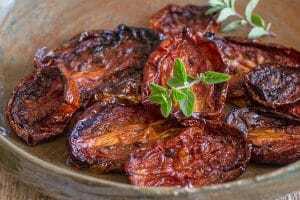 Wash tomatoes and place in a large bowl, cover with boiling water and let sit for approximately 10 minutes (should be easy to remove the skin, be careful because it is very hot). 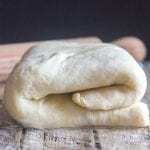 Remove skin and squeeze out excess water, remove seeds and any white or yellow flesh, cut into small pieces. 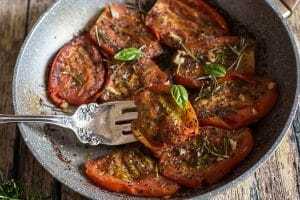 In a medium-sized high sided frying pan add olive oil, tomatoes, garlic, oregano, salt, fresh chopped basil leaves and hot pepper flakes if desired . Mix together and then squish gently with a fork, cook uncovered on medium heat till thickened,(while the sauce is cooking occasionally gently squish with a wooden spoon or fork). Simmer for approximately 20 - 25 minutes. Add 3 cups of cooked short pasta and 1/2 ladle of pasta water, heat on low medium heat for a couple of minutes gently tossing. Serve immediately with freshly grated Parmesan Cheese. Enjoy! Republished from August 21, 2014. About how many cups of sauce will this make? I love a chunky yet watery sauce like this one. 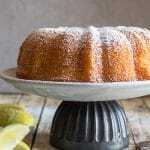 Do you know how could you make this recipe safe for canning? Hi Allison, thanks so much, you should check out this link for more info. https://www.planetnatural.com/canning-tomatoes/ hope it helps. Yum! De best in de world!!! Hi Rebecca, 🙂 thanks so much. 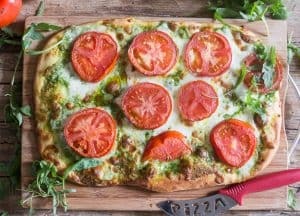 These pics look so delicious that they literally made my mouth water 🙂 Have you ever tried adding a pinch of chili powder to your tomato sauce like this http://www.listonic.com/protips/get/qzhgvapoih? It really adds flavor. 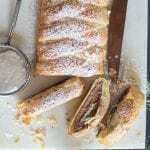 Anyways, thanks for sharing this great recipe. Best wishes!